Spend four or more days exploring five unique lakes in the southern reaches of Kerinci, closest to the village of Lempur, along with the surrounding diverse landscape. You’ll experience Sumatran wildlife and culture up close as you pass through ricefields and traditionally managed customary forests (hutan adat) of cinnamon, bamboo, and other forest crops, walk along (and through) small rivers and wetlands, swim in and paddle bamboo rafts on remote highland lakes, and explore pristine primary rainforest. If you’re lucky, you’ll spot (or hear) Siamang gibbons, leaf monkeys, hornbills, and a variety of bird and other animal life. A few of our guests have even been lucky enough to see Malayan Sun Bears and Sumatran Tigers! 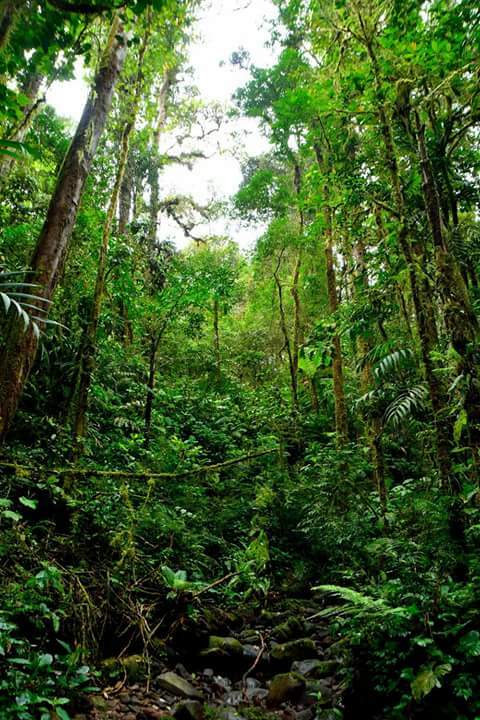 Note: While this itinerary is for four days, it can easily be extended another day, which would add significantly more time within primary rainforest habitat, and a visit to a really remote waterfall. Alternatively, you could trim it down by a day to make it a three day/two night affair, still hitting all of the lakes, but slightly less time within primary forest. Let us know what best fits for you and we’ll make it happen! From Sungaipenuh, get up early and travel one hour south to Lempur where your guide will be waiting for you. Take a motorcycle taxi (ojek) ride to the trailhead, about a further 10 minutes. The first lake you visit is Lake Nyalo, in the middle of a small wetlands area. Keep an eye out for pitcher plants, one variety of which is used by locals to prepare a traditional dish of steamed coconut rice. A few species of wild ducks and other aquatic birds call lake Nyalo home, and you can often hear a family of Siamang gibbons calling from the trees along the bank. 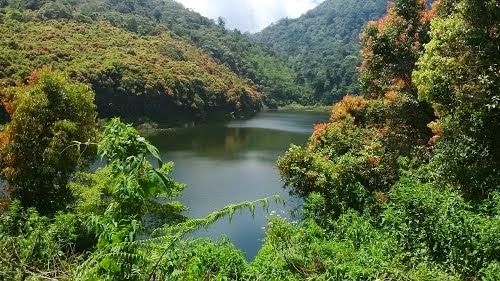 From Lake Nyalo, continue uphill about two hours until you reach the second lake: Lake Duo. Set up camp here, and enjoy the afternoon swimming or rafting on the lake and exploring the area. The next day, spend some more time around Lake Duo in the cool of the morning before breaking camp. 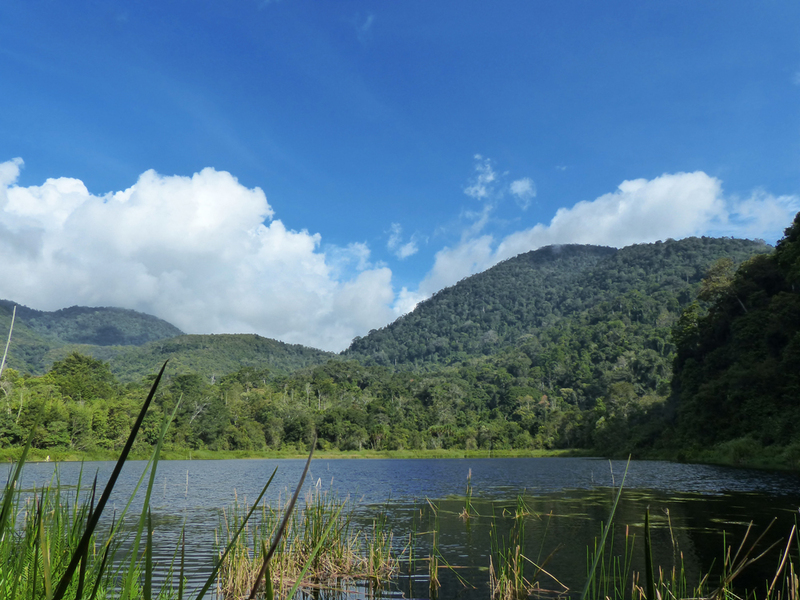 Head into the beautiful cinnamon forests on your way to the third lake: Lake Kecik, where you’ll take a short rest. Eventually you’ll come to a small coffee farm and wooden hut, after which you head into primary forest. As you keep an eye out for wildlife and their tracks, the guides will point out edible forest fruits and greens, and offer a few survival skill tips. Make camp near a cool mountain river, Sungai Manjuto, in the middle of the rainforest as the evening begins to creep in. 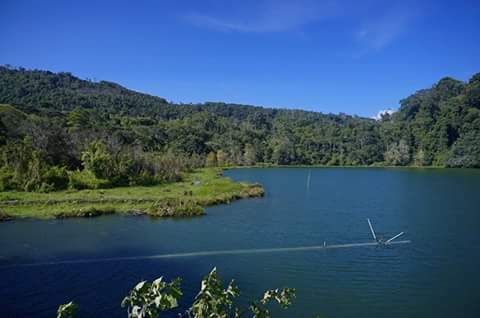 From the Sungai Manjuto river, continue hiking through lush, untouched forests to Lake Kaco, the brilliantly blue swimming hole and natural aquarium deep in the forest, arriving in the afternoon. Jump off the tree hanging over the crystal clear waters, and swim around with the abundant fish. The refreshingly cool, underground spring-fed natural pool makes for a rejuvenating break after so many days of trekking. Set up camp in the forest surrounding the lake. Day 4 – Waterfalls, Rice Paddies, and Lake Lingkat. Wake up next to Lake Kaco and enjoy a leisurely morning swimming and relaxing in the lake. Eventually, pull yourself away and continue roughly three hours along forest trails looking for birds, wildlife and signs of other animals as you make your way out of the forest. Take a break at the Siluang Bersisik Emas waterfall before you exit the forest and continue your walk through idyllic rice paddies on your way to the final lake, Lake Lingkat. You’ll arrive back in Lempur generally by late afternoon or early evening. Stay in a homestay in Lempur, or continue an hour’s drive back to Sungai Penuh to a hotel. Watching, Photography, Wildlife, Jungle, and Swimming. Waterfall. Nearest Town: Lempur Village.